A group of “princelings“, children of China’s political elite, has quietly urged the Communist Party leadership to release jailed Nobel laureate Liu Xiaobo on parole to improve the country’s international image, two sources said. Liu‘s release is not high on the agenda of the party, which is trying to push through painful economic, judicial and military reforms amid the most extensive crackdown on corruption in over six decades, the sources with ties to the leadership said, requesting anonymity. But the back channel push for Liu’s parole shows that a debate is taking place among leaders about damage to China’s reputation caused by his jailing. It also suggests the ruling elite are not monolithic when it comes to views on dissent. Liu, 58, a veteran dissident involved in the 1989 Tiananmen Square pro-democracy protests crushed by the army, was jailed for 11 years in 2009 on subversion charges for organizing a petition urging an end to one-party rule. He won the Nobel Peace Prize the following year. He is eligible for parole after serving half his term. via Chinese elite push for release of jailed Nobel laureate | Reuters. China on Tuesday detained five rights activists, three lawyers and a rights group said, after they attended a weekend meeting that called for a probe into the suppression of pro-democracy protests in Tiananmen Square in 1989. Among those held was Pu Zhiqiang, a prominent free-speech lawyer, who has represented many dissidents, including artist Ai Weiwei and an activist of the “New Citizens’ Movement”, a group that urges Chinese leaders to disclose their assets. He was detained on a charge of “causing a disturbance”, two lawyers said. He has also opposed the system of forced labor camps, which the government has abolished, and featured prominently in state media for that campaign – unusual for a government critic. Also detained were dissident Liu Di and Xu Youyu, a professor with the Chinese Academy of Social Sciences, a government think-tank, rights lawyer Shang Baojun said, citing conversations he had with family members of Liu and Xu. Shang said he did not know what charge Liu and Xu would face as the families have not received their detention notices. Dissident Hu Shigen and Hao Jian, who teaches at the Beijing Film Academy, were also detained, according to Chinese Human Rights Defenders, a China-based rights advocacy group. The detentions raised the stakes in a crackdown on dissent and underscored the sensitivity of Chinese leaders to criticism ahead of the 25th anniversary of the crushing of demonstrations around Tiananmen Square in Beijing on June 4, 1989.
via China detains five activists before 25th anniversary of Tiananmen crackdown | Reuters. IN THE summer of 2013 Wu Youshui sent an open government information (OGI) request to every provincial-level government in China. Mr Wu, a lawyer based in the eastern city of Hangzhou, wanted to know about the fines imposed on violators of the one-child policy. Each year provincial governments collect billions of yuan from couples who have too many children, but how this money is spent is not public knowledge. That leaves the system vulnerable to corruption, says Mr Wu. To expose misconduct and spur public debate, he used the legal mechanism of the OGI regulations, China’s version of a freedom of information act. 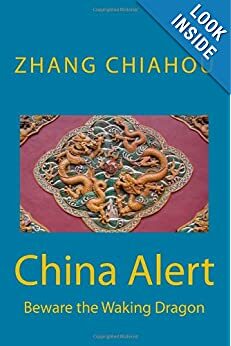 When the regulations took effect in 2008 it marked, on paper at least, the beginning of a profound change in how the Chinese government handles some kinds of information. A culture of secrecy had for decades been the mainstay of the authoritarian state. But in the modern era absolute opacity can cause discontent that threatens stability. The government’s failure to disclose information about the spread of SARS, a respiratory disease, in 2003 hurt its standing at home and abroad. A government operating in “sunshine”, as state media have put it, could regain citizens’ trust and, the party hoped, help ease tensions. The OGI regulations set up two ways of accessing government information. Government offices at local and central level had to issue findings of interest, such as plans for land requisitions or house demolition. The information was to be published on official websites and community bulletin boards and in government journals. Departments also became answerable to citizens. A response to a public request had to come within 15 days. This created a new way for people to contact and monitor the government, says Jamie Horsley of the China Law Centre at Yale Law School. At the last nationwide count, in 2011, roughly 3,000 requests had been filed to central-government departments and 1.3m others to offices at the provincial level. Over 70% led to the full or partial release of information, on everything from pollution to food safety to the tax on air fares. “It is as if there has been a pent-up demand and now people are pushing for the information,” Ms Horsley says. In an important case in 2012 the All-China Environment Federation, a non-profit organisation with links to the government, took an environment-protection bureau in Guizhou province to court. The bureau had twice failed to give a good answer to an OGI request about a dairy farm that was discharging waste. The court ordered the release of the information within ten days. Such rulings against government departments, once rare, are becoming more common. In 2010 the chance of a citizen winning an OGI-related lawsuit in Beijing was 5%, according to research from Peking and Yale Universities. In 2012 courts ruled with the plaintiff in 18% of cases. On April 1st the State Council, China’s cabinet, issued new guidelines, requiring that officials pay more attention to disclosing information. The guidelines come as the government is curtailing freedom of expression online and in the press. Inevitably, plenty of information remains off limits. Article Eight of the regulations says disclosure must not endanger state, public or economic security or social stability, an open-ended list that prompts utmost caution from compliers. State and commercial secrets—however vaguely defined—are out-of-bounds. Last June Xie Yanyi, a Beijing lawyer, applied to the public security ministry for information about the surveillance of citizens. He received a note saying such details were not covered by the law. China’s regulations are more restrictive than those elsewhere. In America a request in the public interest suffices. In China, people must prove a personal need. Government departments, at all levels, still do not release everything they should. But Mr Wu, the lawyer, found they are less able to opt out without a good reason. Guangdong province’s Health and Family Planning Commission initially rebuffed his OGI request, saying “internal management issues” prevented compliance. Mr Wu tried again. On April 1st Guangzhou Intermediate Court ruled in his favour. The commission was ordered to reprocess his request. He awaits word of its decision. via Freedom of information: Right to know | The Economist. A Chinese newspaper that made a front-page appeal for the release of a reporter accused of defamation is to be overhauled, a press regulator says. The Guangzhou-based New Express made a rare public plea for the release of journalist Chen Yongzhou. 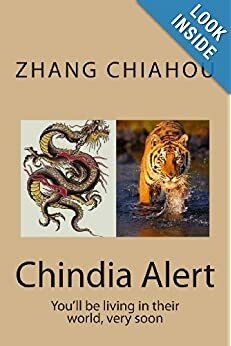 But Mr Chen subsequently admitted on television that he had taken bribes to fabricate stories about a part state-owned company. Now the New Express is to undergo \”full rectification\”, the regulator said. via BBC News – China plea paper ‘to be overhauled’. “China’s central publishing regulator, in a rare acknowledgement of the rights of journalists, expressed concern on Thursday about a detained reporter, a case that has stirred outrage after a newspaper pleaded with police on its front page to let him go. Chen Yongzhou was detained after writing more than a dozen stories criticizing the finances of a major state-owned construction equipment maker, a move that coincides with new curbs on journalists, lawyers and internet users in China. “The General Association of Press and Publishing (GAPP) resolutely supports the news media conducting normal interviewing and reporting activities and resolutely protects journalists\’ normal and legal rights to interview,” the China Press and Publishing Journal, which is overseen by the association itself, said, citing an association official. via In rare move, China regulator voices concern for detained reporter | Reuters. The paper said Mr Chen\’s detention was linked to reports he wrote about a part state-owned construction equipment company based in Hunan. Police in Hunan have confirmed the journalist has been detained for \”damage to business reputation\’\’. In a statement to the Hong Kong stock exchange in late May, the company called the claims \”false, groundless and misleading\”. 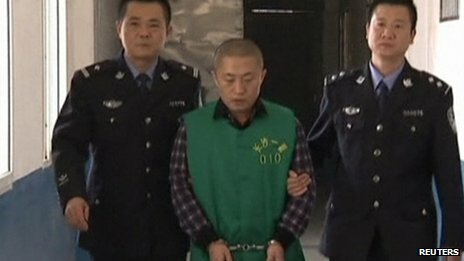 via BBC News – China paper in detained journalist plea. More than two million people in China are employed by the government to monitor web activity, state media say, providing a rare glimpse into how the state tries to control the internet. The Beijing News says the monitors, described as internet opinion analysts, are on state and commercial payrolls. China’s hundreds of millions of web users increasingly use microblogs to criticise the state or vent anger. Recent research suggested Chinese censors actively target social media. The report by the Beijing News said that these monitors were not required to delete postings. China’s internet is one of the most controlled and censored in the world. Websites deemed to be subversive are blocked. Politically sensitive postings are routinely deleted . Even the name of the former Prime Minister Wen Jiabao was censored when rumours were circulating on the internet that his family had amassed a fortune while he was in power. But with the rapid growth of internet users, the ruling Communist Party has found itself fighting an uphill battle. The Beijing News, while reporting the story of microblog monitors, has admitted that it is impossible for the government to delete all “undesirable” postings. The more postings deleted, the more they appear, it says. China seldom reveals details about how it monitors and controls the internet. The government even does not acknowledge that it blocks web sites. But the report does offer a rare glimpse into this opaque world. They are “strictly to gather and analyse public opinions on microblog sites and compile reports for decision-makers”, it said. It also added details about how some of these monitors work. Tang Xiaotao has been working as a monitor for less than six months, the report says, without revealing where he works. “He sits in front of a PC every day, and opening up an application, he types in key words which are specified by clients. “He then monitors negative opinions related to the clients, and gathers (them) and compile reports and send them to the clients,” it says. The reports says the software used in the office is even more advanced and supported by thousands of servers. It also monitors websites outside China. China rarely reveals any details concerning the scale and sophistication of its internet police force. It is believed that the two million internet monitors are part of a huge army which the government relies on to control the internet. The government is also to organise training classes for them for the first time from 14 to 18 October, the paper says. via BBC News – China employs two million microblog monitors state media say. My personal view is that “the genie is out of the bottle” or that you cannot shut “Pandora’s box” with the Internet and social media. Telegraph: In its latest bid to contain the often riotous jumble of news and rumour on the Chinese internet, the Communist party has decided to bring the most high-profile and influential voices to heel. On Saturday, Hao Qun, a famous 39-year-old novelist and frequent government critic who goes by the pen name Murong Xuecun, found his account on Sina Weibo, China’s version of Twitter, deleted. He tried to open another account but failed. Before his account was removed, Mr Hao had 1.85 million followers and his postings on the site often went viral. The world of Weibo, which had 368 million registered users last year, operates much like Speaker’s Corner. Its most famous inhabitants command huge followings and have the power to steer debate in a way that is often uncomfortable for the Communist party. The deletion of Mr Hao’s account follows a series of actions against other high-profile users. He Bing, the vice president of the law school at China’s Political Science and Law university was suspended last week “for deliberately spreading rumours”. Prof He, who had close to 500,000 followers, had posted a snippet of news, which later turned out to be false, claiming that there had been a mass stabbing in a hospital in Hefei. 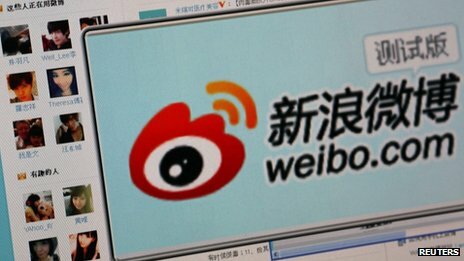 Since the Chinese media is carefully controlled, Weibo has developed into the country’s most important source of news. And since newspapers and television stations are not allowed to report on many of the topics that are voiced on the internet, rumours often go unchecked and develop their own momentum. 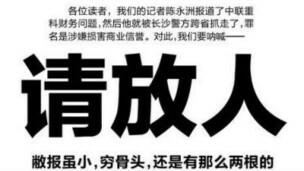 “Some of the [high profile users] have become rumour relay stations,” noted the Global Times in an editorial last week. “Any frequent Weibo user knows that rumours cannot be widely spread unless there is a [high-profile user] helping to spread it,” it added. Kaifu Lee, the former head of Google in China, who has more followers (40 million) than Barack Obama does on Twitter (33 million), said he was careful to verify information before posting it on Weibo. “I realise with the number of followers I have that I need to make sure the messages I forward are legitimate,” he said. “With great power comes great responsibility,” he added. However, he noted that Weibo already has inbuilt checks that should prevent false news from gaining traction. “If you suggest something that is clearly false and do not retract it, your reputation (online) will suffer. I think the social ecosystem should largely be self-reinforcing,” he said, adding that Sina already has a type of tribunal system that can rule over the veracity of certain posts. Mr Lee said he did not know what the purpose of the new government “internet management” campaign was. There already exists a sophisticated censorship system that filters posts and deletes sensitive topics. “I am not in the government, so I cannot say why the government is doing this,” he said. Zhang Lifan, a historian with almost 270,000 followers said the attempt to control high-profile users would be fruitless. “Shutting them down will not make much difference. For each account they silence, other people will speak up,” he said. via China launches new crackdown on internet celebrities – Telegraph. Officials with China’s top anti-graft authority expressed firm opposition on Tuesday to the detention of petitioners. Guo Hongliang, Zhang’s colleague who also attended the online interview, said that the commission has received 301,000 online whistle-blowing reports from 2008 to 2012. Zhang acknowledged that some officials try to prevent people from petitioning to higher levels of government, and these officials’ behavior should be firmly opposed. via Detention of petitioners denounced |Politics |chinadaily.com.cn. NYT: “Barely two months into their jobs, the Communist Party’s new leaders are being confronted by the challenges posed by a constituency that has generally been one of the party’s most ardent supporters: the middle-class and well-off Chinese who have benefited from a three-decade economic boom. A Jan. 9 demonstration in Guangzhou, where people protested the censorship of a paper known for investigative reporting. A widening discontent was evident this month in the anticensorship street protests in the southern city of Guangzhou and in the online outrage that exploded over an extraordinary surge in air pollution in the north. Anger has also reached a boil over fears concerning hazardous tap water and over a factory spill of 39 tons of a toxic chemical in Shanxi Province that has led to panic in nearby cities. For years, many China observers have asserted that the party’s authoritarian system endures because ordinary Chinese buy into a grand bargain: the party guarantees economic growth, and in exchange the people do not question the way the party rules. Now, many whose lives improved under the boom are reneging on their end of the deal, and in ways more vocal than ever before. Their ranks include billionaires and students, movie stars and homemakers. Few are advocating an overthrow of the party. Many just want the system to provide a more secure life. But in doing so, they are demanding something that challenges the very nature of the party-controlled state: transparency. More and more Chinese say they distrust the Wizard-of-Oz-style of control the Communist Party has exercised since it seized power in 1949, and they are asking their leaders to disseminate enough information so they can judge whether officials, who are widely believed to be corrupt, are doing their jobs properly. Without open information and discussion, they say, citizens cannot tell whether officials are delivering on basic needs. 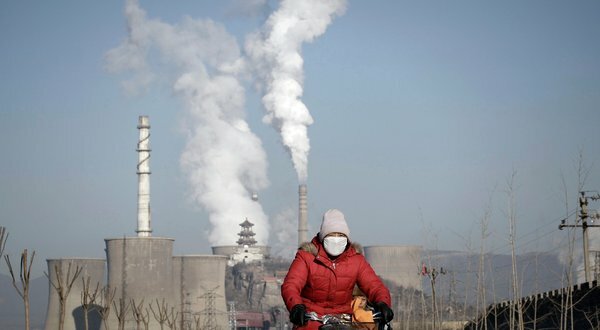 via In China, Discontent Among the Normally Faithful – NYTimes.com.